If you’re looking to save money, you might first look at your extraneous expenses. For your business, maybe you cut back on high quality stationary and instead go with a mid-level grade. For your personal finances, maybe you slash your entertainment budget or cut the cable. We’re all familiar with these basic cost cutting techniques. But after you’ve taken these measures, you may be stuck. What else can you cut without affecting your business or your lifestyle? One area that is often neglected is energy consumption. If you have an office for your business, you likely signed up for an energy provider when the office first opened and haven’t thought about it since then. This is a mistake. You may be shocked to see how much you can save by comparing price quotes from providers. This is very easy to do. Simply access one of many business energy comparison sites and give some basic information such as your post code and your current energy provider. You can use these sites to compare both electric and gas rates. Do this once a year, and you may find that every year you can save money. Of course, some years you won’t need to change providers, but being open to change is important. Best of all, this type of cost cutting measure doesn’t affect your business’ quality; it just affects your bottom line for the better. The same tactic can be taken with your home energy consumption. Compare energy companies, and go with the one that provides the service you need at the best rate. However, besides checking rates, there are other ways you can save energy in your home. Have a home energy audit. Some electric companies will come to your house and do a free energy audit. They’ll let you know which appliances are consuming the most energy as well as other things you can do to curb your energy consumption. If you have a refrigerator or freezer that is older than 10 years, that item likely is consuming a great deal of energy. If you have the money available, consider replacing it with a new, energy efficient model. Yes, you’ll have to pay upfront out of pocket, but likely in a year or two you’ll completely recoup the cost through the money you save on your electric bill. If you are going to replace your appliances, look for ones marked with the Energy Star label. Generally, these appliances use up to a quarter less energy than other ones. If you do get an energy audit, the representative may also notice that areas of your home need more insulation. Again, this may be an expensive undertaking initially, but you’ll save much more over the years by insulating your home better. If you’re windows are more than 20 years old, you’ll likely benefit from getting energy efficient windows. Replacing all the windows in a house at once can cost more than most people can afford. Instead, start with the windows that you think are most in need of replacement. Then set aside money to replace a few more windows every year. Eventually, within a period of five to seven years, you can have all of the windows replaced. Of course, while these strategies are recommended for the home, they can also apply to your business building, especially if you own it yourself. Even if you don’t own the building, you can look into replacing any small appliances you have at the office such as mini refrigerators and other items. In addition, both at home and your business, don’t forget to turn off or unplug power strips. You’ll prevent energy from being used overnight when no one is using the plugged in items. 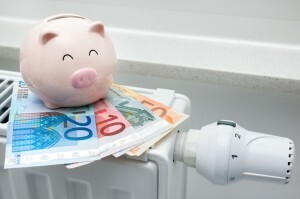 What strategies have you found to save on your energy bills?